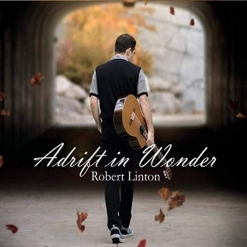 Adrift in Wonder is the sixth album from composer/guitarist Robert Linton. 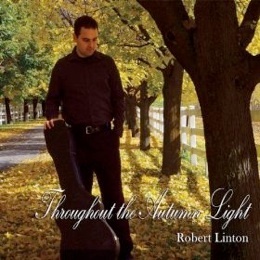 Like his previous releases, the quiet simplicity of this music is perfect for meditation, stress-relief, peaceful background music and just about anything else that might be enhanced by the serenity of Linton’s music. Co-produced, mixed and mastered by Corin Nelsen of SynchroSonic Productions, Inc., the impressive list of guest musicians includes Sara Milonovich (violin), Jill Haley (English horn), Premik Russell Tubbs (EWI and alto flute), and Eugene Friesen (cello). 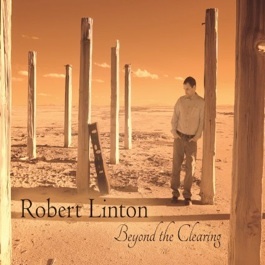 Linton composed all nine tracks on the album and plays finger-style nylon-string acoustic guitar throughout. Each track features two or three of the supporting artists. The title implies a dreamy innocence, which is exactly what you get - a bit more than an hour of sublime musical tranquility. Adrift in Wonder opens with "Gliding the Current,” a peaceful trio for guitar, violin and English horn that suggests the feeling of floating effortlessly on a body of water with light dancing on the surface of the ripples as we dream our way to another world. “Weaving Through the Waves” is a blissful duet for guitar and EWI (electronic wind instrument) that makes any cares float away as it elicits a deep sigh. “Traces of Reflection” continues our daydream with a soulful, hypnotic piece for guitar and cello - a favorite! “Gentle Descent” is played with Sara Milonovich and while it is very peaceful, this one also expresses an air of melancholy and, perhaps, regret. I really like this one, too! “Sifting Through Daydreams” is the perfect title for the piece that features Tubbs on both alto flute and EWI. You can almost feel a warm sun and a gentle breeze in the air as you gently drift away on a puffy, magical cloud. “Casting in the Afterglow” leisurely approaches heaven on the quiet, unassuming strains of guitar, cello and English horn. “Murmur of Chimes” reunites Linton and Tubbs (EWI) for a haunting but very soothing duet. The title track comes near the end of the album and is a duet with Eugene Friesen. I don’t think there is a more soothing instrument than the cello and Friesen is a master. Together, the duo creates images of a perfect experience that takes our breath away as it transports us to another level of being (the specifics of that experience are left to the discretion of the dreamer!). “Hovering in the Sun Rays” brings the album to a close with an exquisite piece for guitar and violin. If you haven’t dissolved into a very happy puddle by now, by all means hit the “repeat” or “replay” button - you really need this music! Adrift in Wonder is available from www.RobertLinton.com, Amazon, iTunes and CD Baby.